Over the years, both crack sealing and crack filling have proven to be very cost-effective tools in the preventive maintenance tool box. 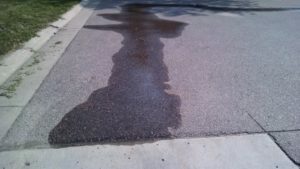 One area that has been overlooked when sealing streets and highways, however, has been the joints between two types of pavement – such as between an asphalt street and concrete curb or concrete pavement and the asphalt shoulder. When a joint between two different pavements is left unsealed, water is unable to “jump the joint” and can end up saturating the underlying base materials and causing load-related failures. In areas where de-icing chemicals are used for snow removal operations, the flow of the residual brine can also cause the areas of infiltration to thaw earlier – increasing the likelihood of load-related damage during spring thaw. Where’s the proof that sealing these joints makes a difference in performance? 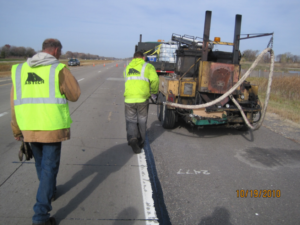 MnDOT recently did a study and published the Edge-Joint Sealing as a Preventive Maintenance Practice report, which showed that sealing the joint between concrete main line pavement and asphalt shoulders resulted in an 80% reduction in water infiltration. The assumption was that by keeping the base and sub-base drier, there would be better performance. Rout and seal if the configuration of the joint will allow a router to be centered over it. Clean and fill the joint if the concrete curbs have a pan that is too narrow to allow routing. 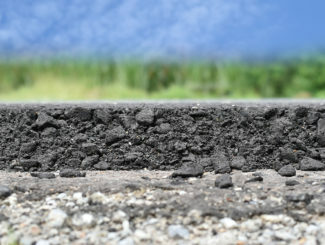 Apply a joint adhesive to the face of the concrete and pave the hot mix asphalt against it. Joint adhesive was developed specifically for application to cold paving joints to reduce water infiltration. It has a higher viscosity than a normal hot pour sealant, which allows a thicker layer to be applied to the face of the structure. A best practices guide, called Recommended Performance Guidelines for Crack Treatment, can be found on the ISSA website. When sealing cracks in pavement, don’t forget about the joints along the curb line or between the shoulder and pavements. 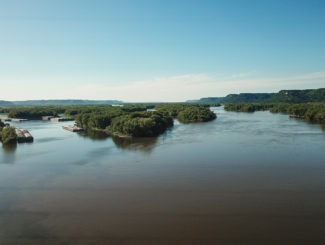 Minnesota Department of Transportation. 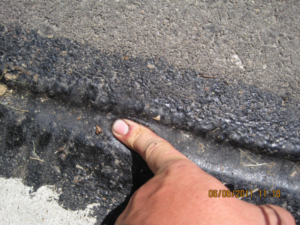 Edge-Joint Sealing as a Preventive Maintenance Practice. August 2003. (MN/RC 2003-26).